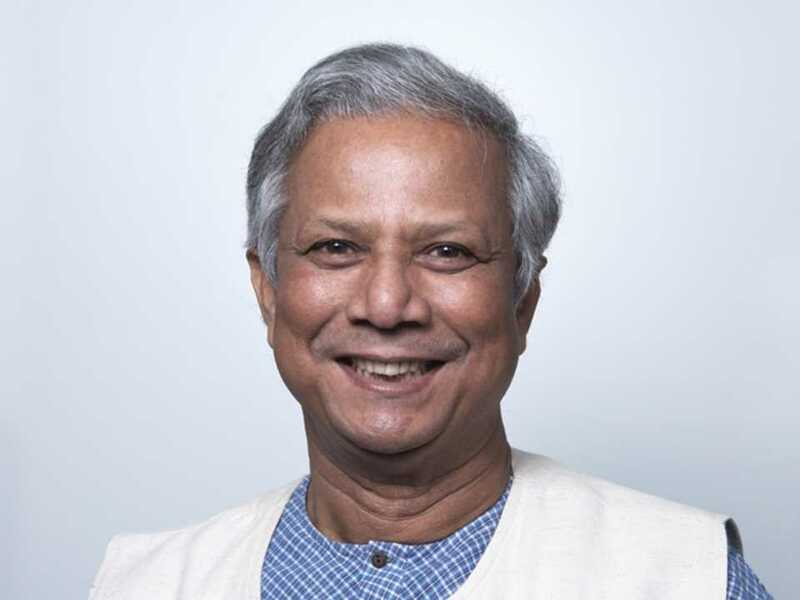 Muhammad Yunus and the Grameen Bank were awarded the Nobel Prize for Peace in 2006 for their efforts to create economic and social development from below. Muhammad Yunus lives in Dhaka and has built the Grameen Bank into the largest rural bank in Bangladesh. 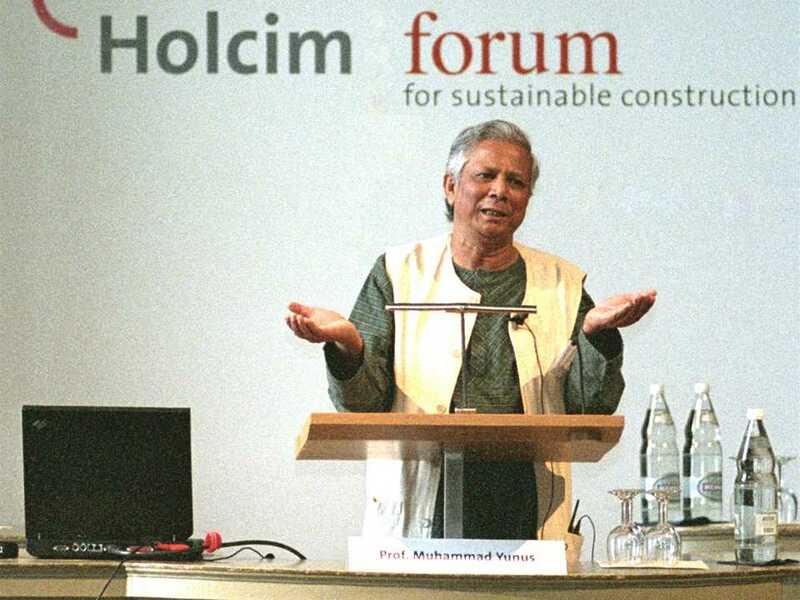 In 1965, Muhammad Yunus was awarded the Fullbright Fellowship and completed a PhD at Vanderbilt University, USA. He returned to Bangladesh and became head of the Economics Department at Chittagong University in 1972. 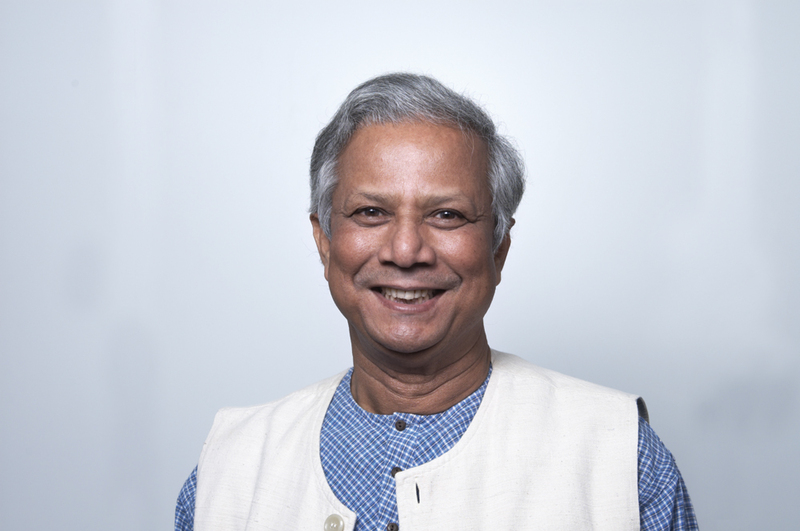 The famine that devastated Bangladesh in 1974 changed his life forever. He began to examine the inadequacies of economic theory and determined that the problem was based on structure - a lack of credit to the poor. The idea of micro-credit was developed, and flourished. Today the bank claims to have 6.6 million borrowers, 97 percent of whom are women, and provides services in more than 70,000 villages in Bangladesh. Its model of micro-financing has inspired similar efforts around the world. 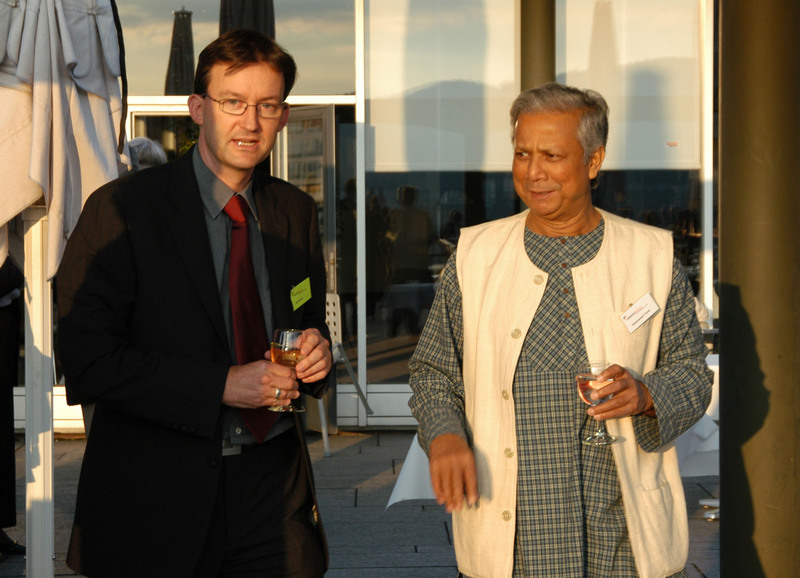 Muhammad Yunus has also received the Volvo Environment Prize, World Food Prize, and Care Humanitarian Award. He was named by BusinessWeek one of the “30 greatest entrepreneurs of all time” in 2007, and is author of The poor people's banker about the Grameen Bank project. 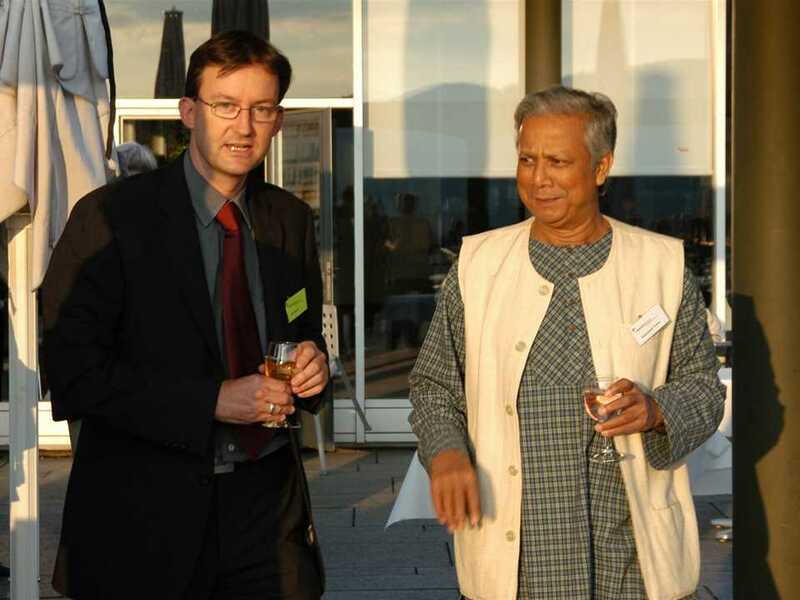 He is a founding member of the Global Elders formed in 2007. The body was established for world leaders to contribute their wisdom, independent leadership and integrity and includes Graça Machel, Kofi Annan, Ela Bhatt, Gro Harlem Brundtland, Jimmy Carter, Li Zhaoxing, Mary Robinson, together with Muhammad Yunus. He also serves on the board of directors of the United Nations Foundation, a public charity created in 1998 with entrepreneur and philanthropist Ted Turner’s historic USD1 billion gift to support UN causes. The UN Foundation builds and implements public-private partnerships to address the world’s most pressing problems, and broadens support for the UN. 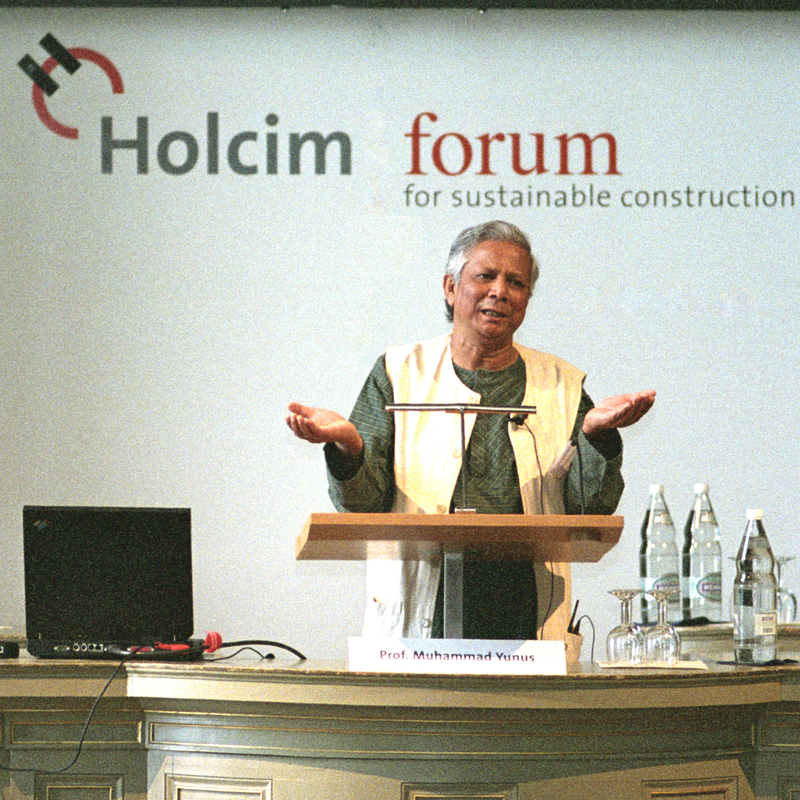 Muhammad Yunus was a member of the Board since the inception of the Advisory Board of the Holcim Foundation for Sustainable Construction in 2004 until March 2012. 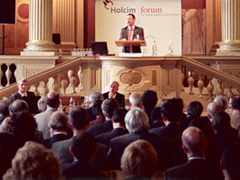 He also presented a keynote address “The power of small changes” at the inaugural Holcim Forum 2004 in Zurich.